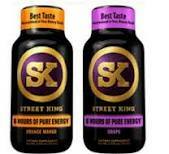 Check out this awesome deal you can get on SK Energy Shots at Rite Aid! = $0.98, or $0.49 each!! My hubby LOVES these so can't wait to surprise him with a bunch of them!